Since the 1960’s, Sergio Bustamante has been internationally recognized in the world of creative arts and crafts. Sergio Bustamante's work encompasses a variety of art forms, including resin, ceramics and bronze. Recent innovations include a distinctive purse collection. 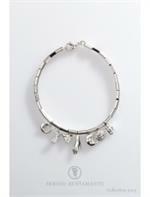 7 (mini) Charms Bracelet (Sterling Silver/gold) by Sergio Bustamante: 6” long sterling silver chain. #715040. 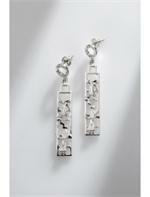 Alegria Earrings by Sergio Bustamante #712056. 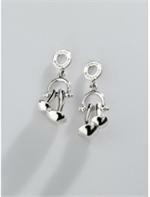 Sterling Silver post-style earrings; .75" long. 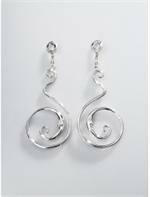 Alena Earrings (Sterling Silver) by Sergio Bustamante #712119; 2.5" long. 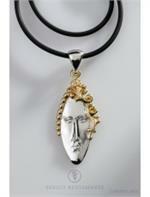 Alena Pendant by Sergio Bustamante #714124. Sterling silver 2.5" long by 1" wide. 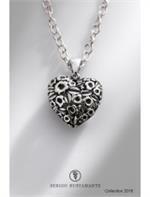 Alexandria Heart Pendant-Silver: 1.25" wide at top and 1.5" high w/bale. 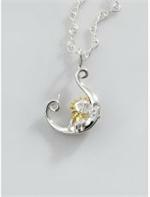 Sterling silver #714206. 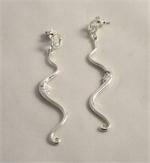 Sergio Bustamante Sterling Silver "America Earrings" #712125: 2" long and 1/3" wide. 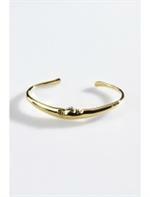 Segio Bustamante Amsterdam Moon cuff style bracelet, gold/silver #725007: 6.5" from end to end with 1" gap. 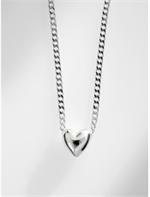 Andaluz Mini Heart Necklace by Sergio Bustamante #713051: Sterling Silver mini heart pendant is .25" wide on 18" Sterling Silver Chain. Sterling Silver dangle earrings 1.25" long by Sergio Bustamante #712120. 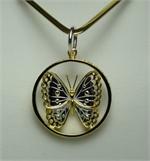 Sergio Bustamante Butterfly Wheel Pendant: 22k gold plate on sterling silver (1and 3/8" wide; 2" high with bale) #724024. 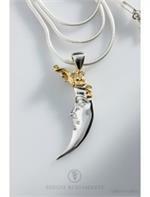 "Tribute to Carmen Miranda" Pendant: Sterling Silver and 22k gold. Pendant is 2" long (w/bale) and 3/4" wide. 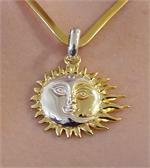 Carnaval Moon Pendant by Sergio Bustamante; sterling silver; 1.5" long. 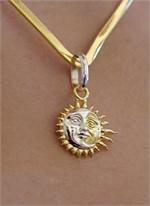 Carnival Moon Pendant: Sterling Silver and 22k gold. Pendant is 2" long (w/bale) and 1/2" wide. 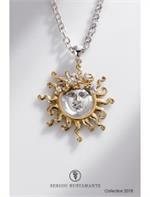 Clea Sun Pendant-Gold #724129. 2.5" high w/bale and 1.7" wide. 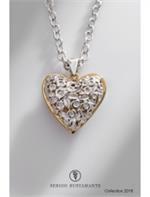 22k gold & sterling silver. Eclipse Gaudi Earrings by Sergio Bustamante. 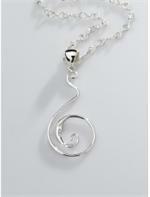 2.75" long and made of sterling silver: #712085. 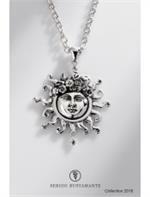 Eclipse Wheel Pendant by Sergio Bustamante. 22k gold on sterling silver (702260): 1.25" across; 1.75" high w/bale. 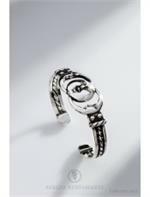 Enchanted Silver Charm Bracelet: #745019. 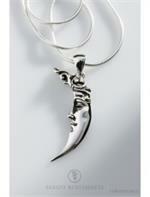 7 inches long with "crab claw" clasp.